Our practice was established in 1977 by Drs. Diebel and Lazar. Early in their careers, our founding physicians were close friends who attended the University of Iowa College of Medicine and had a vision of starting a practice together devoted to the care and needs of women through all phases of life. born in central Florida and have each had the privilege of delivering a couple of generations of babies within the families of some of our most loyal patients. They headed the obstetrics and gynecology training programs and held leadership positions such as Medical Chief of Staff and Program Director within the Orlando Health System. Dr. Lazar held the position of Chief Quality Officer at Winnie Palmer Hospital for Women and Babies from 2005-2013, and Dr. Diebel is actively involved in many committees at the hospital and continually takes part in philanthropic work in central Florida. Prior to Dr Lazar’s death in 2014, they spent more than 35 years practicing together, and became leaders in the field of obstetrics and gynecology in Central Florida. culture within our practice that has a patient centered focus, is congenial and family oriented. 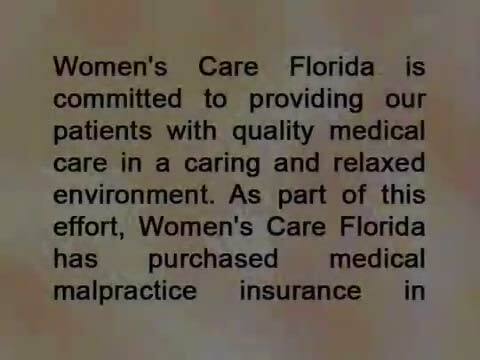 In 2011, OB & GYN Specialists became a division of Women’s Care Florida, one of the premier providers in women’s healthcare in Central Florida and Tampa Bay. As a practice we value the relationships between our physicians. Our physicians meet weekly to focus on discussions of high risk patients as well as to keep up with the latest advances in women’s healthcare. This time we invest into our practice affords us an opportunity to have a “protected” moment of time for us to connect with one another and continue conversations in the ways that we can improve the care of our patients. Patient care discussions involve the expertise of over 200 years of combined experience among the physicians. The size of the practice offers our patients the advantage of always having one of our physicians on call to care for them. 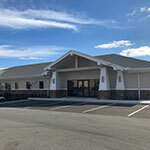 We deliver care for our obstetric and gynecologic patients at both Winnie Palmer Hospital for Women and Babies, and the new Oviedo Medical Center. When the office is closed, our providers are available 24 hours, 7 days a week to our patients. We feel this accessibility is vital for patients and reinforces our commitment to you. Our doctors all practice obstetrics and gynecology, yet have uniquely different areas of interest including minimally invasive surgery (including daVinci robotic surgeries), office based surgery, incontinence and prolapse surgeries, and pelvic floor rehabilitation. We all have the same commitment to providing excellent care to our patients, and feel privileged to do so. Our physicians and nurse practitioners have an eclectic mix of personal interests and backgrounds. Many have volunteered their time for philanthropic organizations such as Shepherd’s Hope, United Cerebral Palsy, and the Down Syndrome Association of Central Florida. The majority of our physicians are members of Winnie Palmer Hospital and Orlando Health committees, and both Dr. Diebel and Dr. Lazar have held the Chief of Staff position.